Hang your tongue out of your mouth while your eyes drift to the ceiling. Breathe loudly and use your hands to pull your head in every which way. This is yoga for your face, and some people are using it as an alternative to Botox or plastic surgery. "When you exercise your face muscles you can improve blood circulation on your face," Fumiko Takatsu, the creator of Face Yoga Method, told "GMA." Takatsu has written six books on face yoga and has been practicing facial exercises for about 15 years. Takatsu, 50, said she came up with the idea of face exercises after a car accident when she was 35 years old. 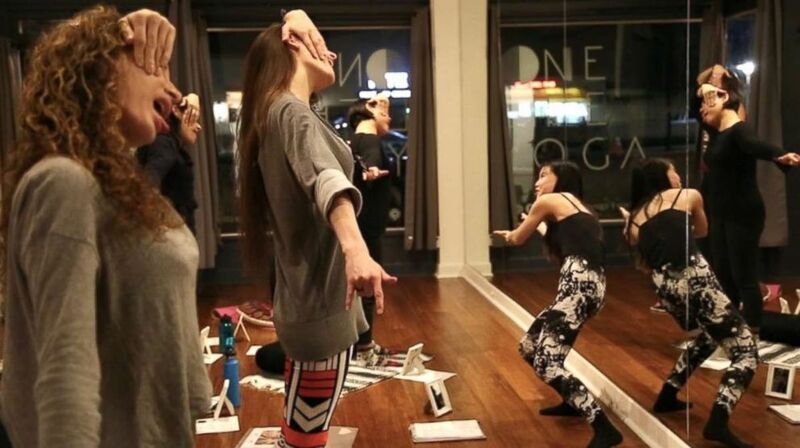 (Olivia Smith/ABC) People shown practicing facial exercises, also known as face yoga. "It made my body out of alignment and, as a result, it made my face out of alignment," she said. Around the same time, Takatsu said she began to notice signs of aging but gave up on creams and facials after they became too expensive. "One day I realized that I have muscles on my face. Why not exercise [the] muscles on my face?" (Olivia Smith/ABC) Fumiko Takatsu, creator of Face Yoga Method, practicing face yoga. Koko Hayashi, a face yoga instructor in Los Angeles who founded Face Yoga with Koko, said she first heard of face yoga by discovering Takatsu's work. Hayashi, 39, said she had a chin implant when she was 27 years old, but took it out because it distorted her face. "That's why I'm so interested in more natural beauty instead of plastic surgery," Hayashi said. (Olivia Smith/ABC) Koko Hayashi, founder of Face Yoga with Koko, teaches a class. Hayashi, like others who practice facial exercises, believes it can fix signs of aging and help reduce wrinkles like crow’s feet and smile lines. The origins of face yoga are unclear, but there are articles in the U.S. dating back to the 1970s and 1980s. (Olivia Smith/ABC ) Face Yoga instructor, Koko Hayashi, demonstrates facial exercises. The question that often pops up when someone mentions face yoga is, "Does it actually work?" 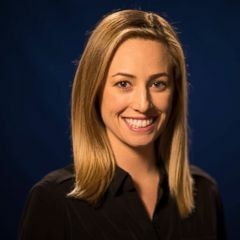 Kelly LeVeque is a Los Angeles-based holistic nutritionist and wellness expert. Celebrity trainer Anna Kaiser shares must-try moves for brides-to-be. Ence hits the gym with some serious workout moves as part of her daily routine. 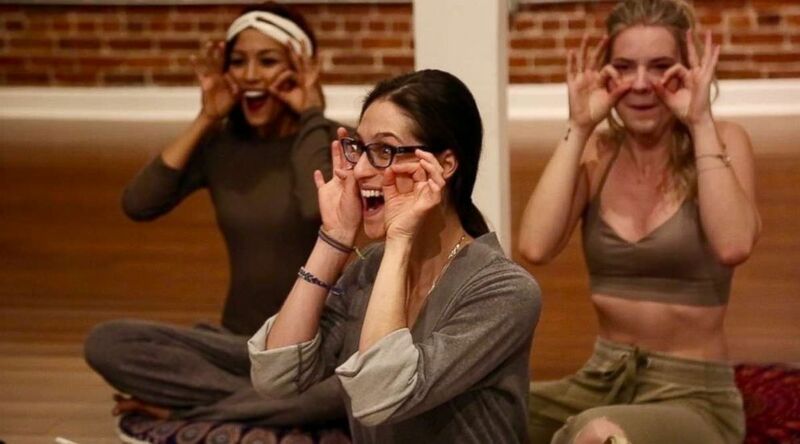 (Olivia Smith/ABC) Face yoga attendees at One Life Yoga in Pasadena, California, doing facial exercises. ABC News Chief Medical Correspondent Dr. Jennifer Ashton said there is no solid evidence that face yoga works and that any benefits are most likely going to be up to the person trying it. If you feel better after trying face yoga it may be something to keep doing, she said. (Olivia Smith/ABC ) Koko Hayashi, founder of Face Yoga with Koko, teaches facial exercises. "What are the risks of doing facial yoga? Pretty much none," Ashton said. "What are the benefits? That's the big question and that's going to be very subjective," Ashton said. "If you look in the mirror after doing a couple of facial exercises and you think you look better that's terrific. But benefits are going to really be in the eye of the beholder."